All of our rooms at Whalers Rest Motor Inn are well appointed, clean and comfortable. With six different room types, with room types ranging from deluxe twin rooms to two-bedroom family rooms, we can cater for corporate stays, families, groups and everything in between. We also have a large parking area for buses, coaches and boats. Whalers Rest Motor Inn offers these spacious and well-appointed rooms with two Queen beds for extra comfort. 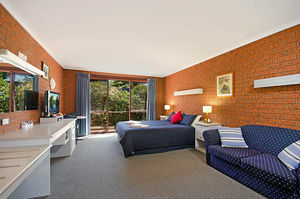 These suites also have free WiFi, air conditioning, TV with Foxtel, mini bar, toaster, microwave, and tea & coffee making facilities. And to make your room a little more like home, we also provide little extras like biscuits and tissues. When visting Portland, try Whalers Rest Motor Inn for great accommodation while you discover Portland's attractions. 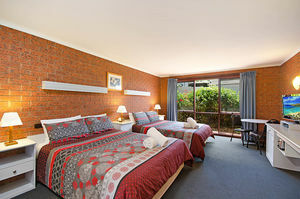 Whalers Rest has an end of Summer special so log onto our own booking site and book direct and save $$$. 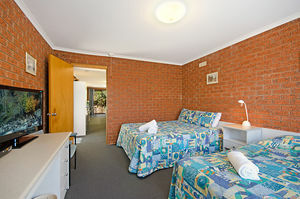 When looking for Portland accomodation - Whalers Rest Motor Inn offers offers spacious and well appointed rooms. All suites have free WiFi, air conditioning, TV with Free Foxtel with foxfooty mini bar, toaster, microwave, and tea & coffee making facilities. And to make your room a little more like home, we also provide little extras like biscuits and tissues. Call us now to make your stay in Portland one to remember. Our Spa Rooms have a large three corner spa, situated in its own room, for the relaxation required after a hard day travelling or sight seeing around Portland. Spa Rooms are a well appointed with air-conditioning and a Queen bed. 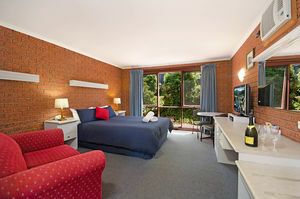 This suite also contains free Wifi,Free Foxtel with 30 Channels,plus foxfooty mini snack bars, toaster, microwave, hair dryer and tea & coffee making facilities. We also include little extras such as tissues and biscuits make the room a home away from home. You'd be hard pressed to find better accommodation in Portland. Our deluxe twin rooms come with 1 Queen and 1 Single Bed. 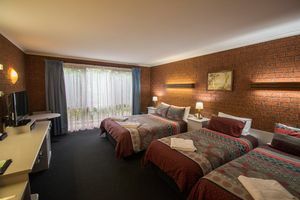 All suites have free WiFi, air conditioning, TV with Free Foxtel 30 Channels to choose from plus foxfooty, toaster, microwave, and tea & coffee making facilities. And to make your room a little more like home, we also provide little extras like biscuits and tissues. Call us now to make your stay in Portland one to remember. For something a little more spacious, Whalers Rest Motor Inn offers a Two Bedroom Suite. 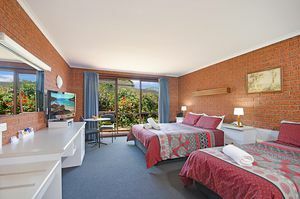 Each bedroom has its own television Main bedroom has Free Foxtel plus Foxfooty and free WiFi in all bedrooms The main bedroom has Queen bed and a Single bed with a couch, table, chairs, TV, toaster and kettle while second bedroom has three Single beds. 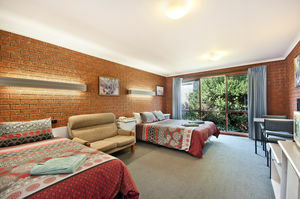 Total of 6 people can be accomodated in this suite. The two-bedroom suite also has a mini snack bar, toaster, microwave, hair dryer and tea & coffee making facilities, while little extras such as tissues and biscuits make these suites a home away from home.